PRICE REDUCED ON THIS SPACIOUS HOME TO $159,500. 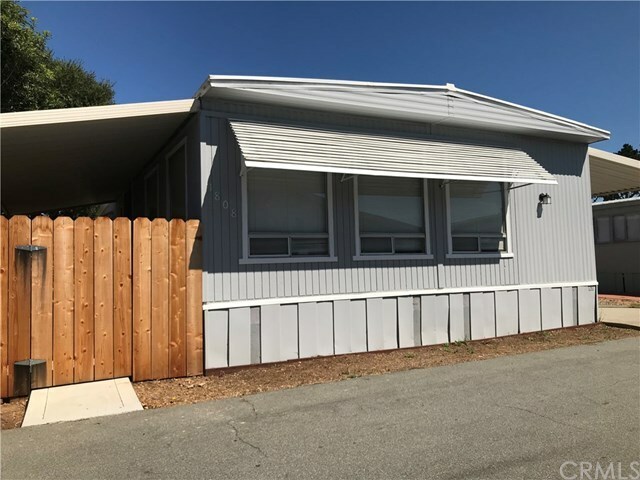 We are looking to get this home to this cozy yet spacious mobile home back in escrow soon! It has a large fenced side and back yard with two storage sheds. The home has a very large living room and dining room area. The master bedroom is also quite large. The owners had the roof re-sealed two years ago and when they bought the home they had a major electrical system update to the home. Laguna Lake has so many wonderful amenities including a large swimming pool, a spa, two recreational rooms that include a billiard and table tennis room, a gym, a community library and much more. The monthly space rent to the new owner will be approx. $741.78.